Receiving psychotherapy over the phone is showing promise for people with depression, according to new research. A study published Tuesday found patients counseled over the phone were less likely to drop out of treatment compared to those who got face-to face counseling. Researchers also found people who talked to their therapist on the phone got better at the same rate as those who spent time on the counselor's couch. "This research gives us a pretty clear indication that providing therapy via technology can be a useful strategy," says Lynn Bufka, assistant executive director, practice research and policy at the American Psychological Association. Researchers at Northwestern University in Chicago conducted the study which was the first large trial comparing face-to-face therapy with telephone therapy. Their findings were published in the Journal of the American Medical Association. In this study, 325 people with major depressive disorder received 18 sessions of one of the two types of therapy. The scientists found that more people dropped out of treatment, usually in the first five weeks, when they went to see their therapist instead of talking on the phone. But six months after therapy ended, phone patients saw a small drop in benefits compared to those who had seen the psychotherapist face-to-face. People still felt better than when they started treatment, but phone therapy patients were a little more depressed than those who had gotten care at the office. Researchers aren't sure why, but they have some ideas. "My suspicion is that we were able to retain people in the telephone therapy group who would have dropped out [of the face-to-face group] and these are often people who have a lot more difficulties in their lives," explains study author David Mohr, professor of preventive medicine at Northwestern University Feinberg School of Medicine in Chicago. Depression is common, affecting 21 to 30 million American each year, says Mohr, and treatment is critical. Experts know that psychotherapy, often called talk therapy, is highly effective but most people who get referred for counseling don't go. Sometimes people don't have time because of demands at work or at home, others say transportation issues or a disability get in the way. Mohr refers to these conflicts as barriers to care. And when people do manage to start therapy more than half drop out before the end of treatment, say researchers. "For a long time there was an assumption that people who didn't make it into therapy or dropped out, because they didn't want it. But a lot of our work has suggested that people drop out of therapy because of barriers," explains Mohr. And, being able to talk about your troubles on the phone may help people who might otherwise not seek treatment. In fact, 85% of psychologists now offer some portion of their care over the phone, according to the American Psychological Association. But phone therapy may not be the best option for some patients. "While it [phone therapy] may increase access to treatment, it will not be enough for the severe forms of mental illness in which psychosis, thoughts of suicide or crippling despair are prominent," says Dr. Gary Kennedy, director of geriatric psychiatry at Montefiore Medical Center in New York. Kennedy is also concerned that without the face-to-face interaction, both therapist and patient may be missing important cues, and that a measure of intimacy is lost. But Mohr did not find this to be the case. "All therapists in the study found that they could establish a relationship with someone over the phone that was just as deep and just as meaningful [as face-to-face therapy]," says Mohr. Most insurance companies offer little if any reimbursement for phone therapy sessions. Some companies make exceptions for rural patients who don’t have a counselor nearby. Researchers say that they don't want phone therapy to replace face-to-face therapy, but rather serve as another tool to help people get the care they need. The findings of this study is nothing new. Most counselors, therapists, preachers, priests, etc..have known this for many years. Many people are more comfortable, less embarrassed, less nervous to speak with a counselor on the phone than in person. 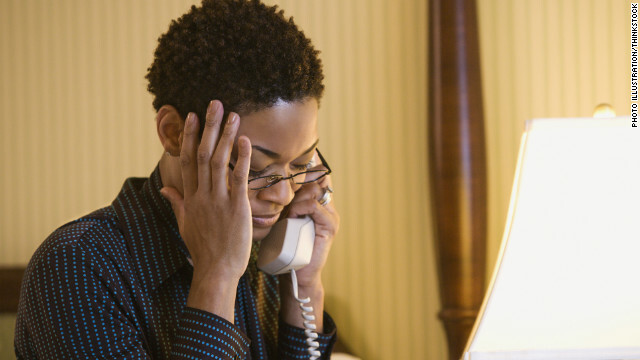 To some people therapists can be less intimidating and less judgemental via phone. You know, I was very surprised that the article did not mention this. I thought that maybe they would at least hypothesize that people were more honest and forthcoming with their therapists over the phone. However insurance providers do not cover this mode of therapy, thus the patient is financially responsible for the entire bill even if they have MH benefits. Is that what all those people are doing on their cell phones all the time? I wonder about all the body language and facial cues that are missed with phone therapy. It would be interesting to compare therapy over Skype with phone and in-person. It may be in between. When I became depressed, the physical presence of people around me would grate me and communication was an exercise in willpower. I suspect that the less intimate nature of phone therapy creates a sensory buffer that relieves the stress of having someone in your face, kind of like getting anesthesia before someone picks and prods through a physical wound. Probably better to get some brisk exercise. Exercise can be a help, but "better"? That's the problem with mental health, people who have never experiences problems think you can just "snap out of it." Just read the bible/go to church – or take yoga – or cut out red meat, or all meat, or all dairy – join a club – take a vacation – etc, etc. If your brother had cancer would you just say "take a walk and pray to God?" Sorry to point this out, but therapy over the phone goes AGAINST THE INDUSTRY STANDARD in California.